The UK has said it will only relent to extending the Brexit transition period if the demand for the Irish ‘backstop’ is dropped. The backstop – essentially an insurance policy to prevent the emergence of a hard Border on the island – has become a final sticking point in the Brexit negotiations amid escalating fears it will become a bargaining chip in the endgame of the divorce proceedings. 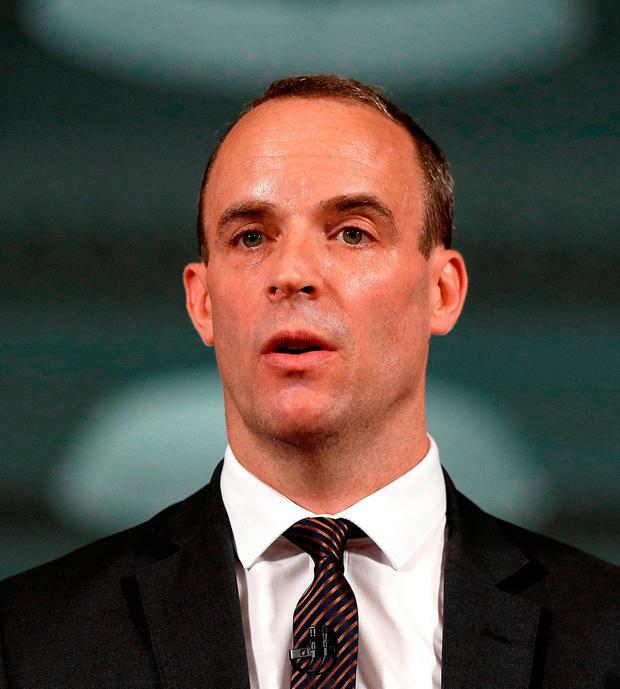 The UK’s Brexit minister, Dominic Raab, said any extension to the transition period would only be considered as an alternative to the backstop. “We must have a finality to any backstop – whether through a time limit or a mechanism that enables the UK to leave,” he wrote in ‘The Sunday Telegraph’. European Affairs Minister Helen McEntee has accused Mr Raab of attempting to introduce “new red lines”. “Negotiations are always tough and particularly with Brexit they’re very complex. But what we can’t have happen are certain parts of the agreement or the negotiations which have already been committed to, have been agreed to in writing, to suddenly see new red lines introduced that absolutely contradict commitments that have already been made,” she said. That commitment to a backstop had been given repeatedly by the UK, Ms McEntee said. “To have essentially a new red line introduced saying that ‘we won’t move forward if the backstop is there or if it doesn’t have a time limit to it’ – that’s really not how negotiations work,” she told RTÉ Radio One. Negotiators in Europe are looking at the idea of a UK- wide customs “shared space” as a means to break the stalemate in talks. The idea is being proposed in addition to the backstop, however, rather than a replacement for it. A spokesperson for Tánaiste Simon Coveney said the progress needed to get a deal across the line would not be achieved in the media. “What we need now is for the negotiators to get back to work in Brussels and finish the final 10pc of the Withdrawal Agreement. Ireland wants a close future trading deal with the UK but at this point the commitments already made need to be honoured,” he said. Labour leader Brendan Howlin said his party had “warned the Government repeatedly that we must not allow the Irish backstop to be part of the final horse-trading”. He said the backsliding on the Border issue suggested a no-deal was increasingly likely and raised the possibility of the Taoiseach being left having to “choose between no deal – and therefore Border controls – or no backstop, and the risk that the future EU-UK relationship will require border controls after all”. Fianna Fáil leader Micheál Martin warned there “will be an 11th-hour moment when this thing has to come to a head”. But he said he had no indication the EU 27 would waver in their support for Ireland. He also claimed Ireland was “in no way prepared” for Brexit – no matter what the outcome.